Zebrafish is an ideal model for studying organ regeneration, particularly in complicated nerve tissue structures like lower jaw and caudal fin. In this study, we dynamically observe ultrastructural changes of wound tissues and analyze four neurotransmitter contents during the early stage of lower jaw regeneration after removal of one third of mandible and associate soft tissues. Two hours post-amputation (2 hpa), contraction occurs around the edges of the wound causing the wound size to become smaller. In comparison with non-amputation, the level of dopamine, γ-Aminobutyric acid (GABA), glutamic acid and glycine increase in the wound tissues. The content of four neurotransmitters reaches to the peak when epidermis reconstitution is complete at 2 dpa. At 5 dpa, the missing structure is largely recovered while the 4 neurotransmitters retain the high level or slightly reduce. These results suggest that neurotransmitters play important roles in introducing lower jaw regeneration. Poss, K.D. (2010) Advances in understanding tissue regenerative capacity and mechanisms in animals. Nature Reviews Genetics, 11, 710-722. Newmark, P.A. and Alvarado, A.S. (2002) Not your father’s planarian: A classic model enters the era of functional genomics. Nature Reviews Genetics, 2, 210-219. Spallanzani, L. (1768) Prodromo di unopera da imprimersi sopra le riproduzioni animali dato in luce dallabate spallanzani. Nella Stamperia di Giovanni Montanari, Modena. Muller, W.A. (1998) 黄秀英等, 译. Developmental biology. 高等教育出版社, 北京. 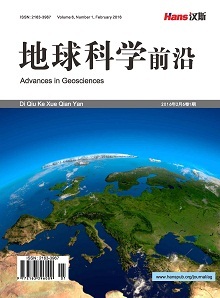 聂竹兰, 李霞 (2006) 海参再生的研究. 海洋科学, 5, 78-82. Vandenspiegel, D., Jangoux, M. and Flammang, P. (2000) Maintaining the line of defense: Regeneration of Cuvierian tubules in the sea cucumber Holothuria forskali (Echinodermata, Holothuroidea). The Biological Bulletin, 198, 34-49. Wang, X., He, H., Tang, W., et al. (2012) Two origins of blastemal progenitors define blastemal regeneration of zebrafish lower jaw. PloS One, 7, Article ID: e45380. Knopf, F., Hammond, C., Chekuru, A., et al. (2011) Bone regenerates via dedifferentiation of osteoblasts in the zebrafish fin. Developmental Cell, 20, 713-724. 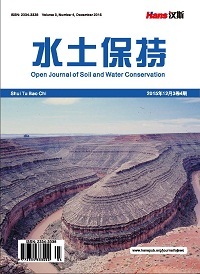 Chang, J.P., Marchant, T.A., Cook, A.F., et al. (1985) In-fluences of catecholamines on growth hormone release in female goldfish, Carassius auratus. Neuroendocrinology, 40, 463-470.